After spending two weeks in Halkidiki with my kids, I cannot recommend visiting there highly enough. From the first day to the last day we had a wonderful experience. In order for you to recreate our trip I have put together a 10 day Halkidiki Itinerary. Halkidiki is a region in northern Greece known for its jutting peninsulas, which feature Mediterranean forests that give way to sandy beaches in sheltered bays. 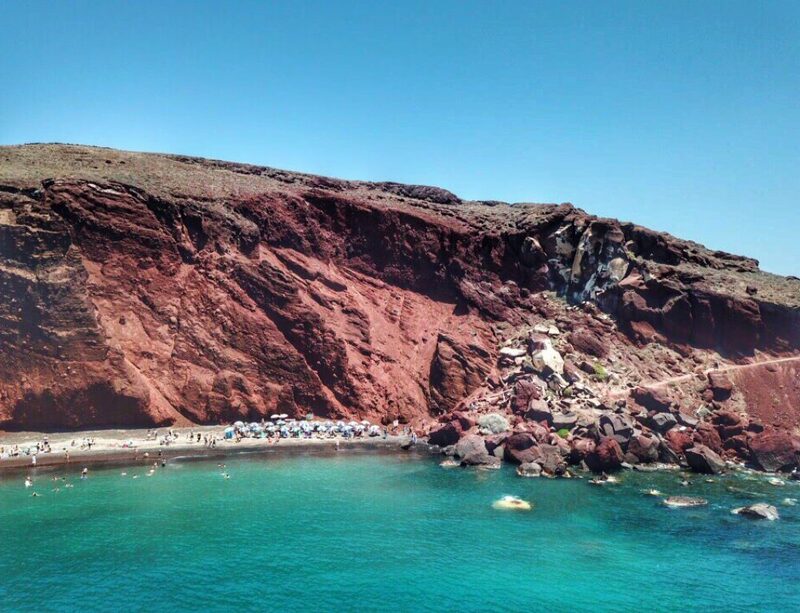 Kassandra, the westernmost peninsula, is the most developed, offering modern resorts and nightclubs. The region’s notable archaeological sites include Stageira, Aristotle’s birthplace, and Olynthus, known for its well-preserved mosaic floors. The three small peninsulas, known as the three legs of Halkidiki Greece. The first leg is Kassandra and has popular tourist resorts with organized beaches. 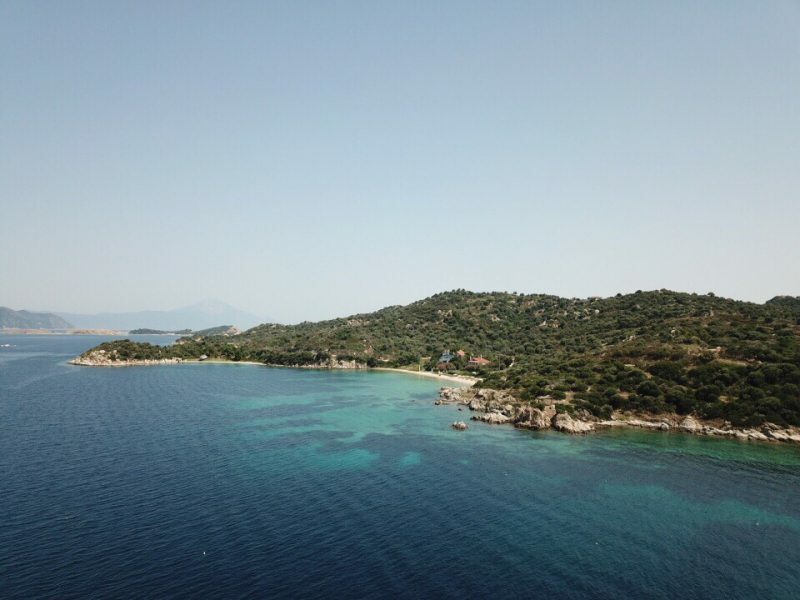 The second peninsula is Sithonia, with less organized resorts and more secluded coves. The third peninsula, Mount Athos, is a close monastic community where entrance is allowed only to men and after special permission. This itinerary has you visiting Kassandra, Mount Athos, and Thessaloniki. You will need a car rental to complete this trip. 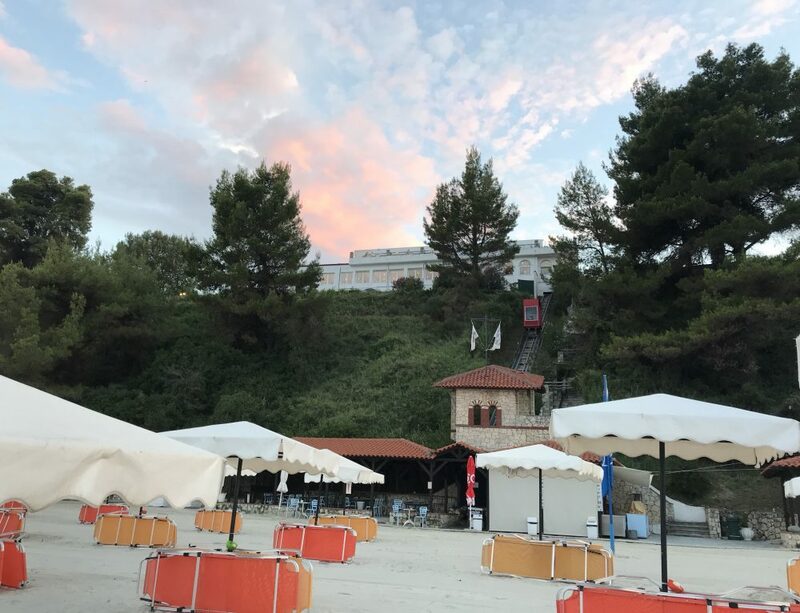 Today is Arrival Day: Fly into Thessanoliki and travel down to Kassandra where I recommend staying at Alexander the Great beach hotel. Now you might be wondering why you do not just start in Thessaloniki instead of heading to the beach. You could do this instead, but I like to spend my jet lag days at the beach instead of a city. You’ve traveled a long way and need to go easy on yourself. You probably are jet-lagged and in need of a nap or two. Today enjoy the hotel and the beach, including Alexander beach and Agora Beach. Plan to have lunch at Agora Beach. Explore Halkidiki’s The round of Kassandra, by car, which is a full day. Agia Paraskeyi – Loutra this is where you will find thermal baths. Now do not go looking for the “springs” thinking they will be in the forest. This is more like an indoor pool. On the side of the building it will say spa. 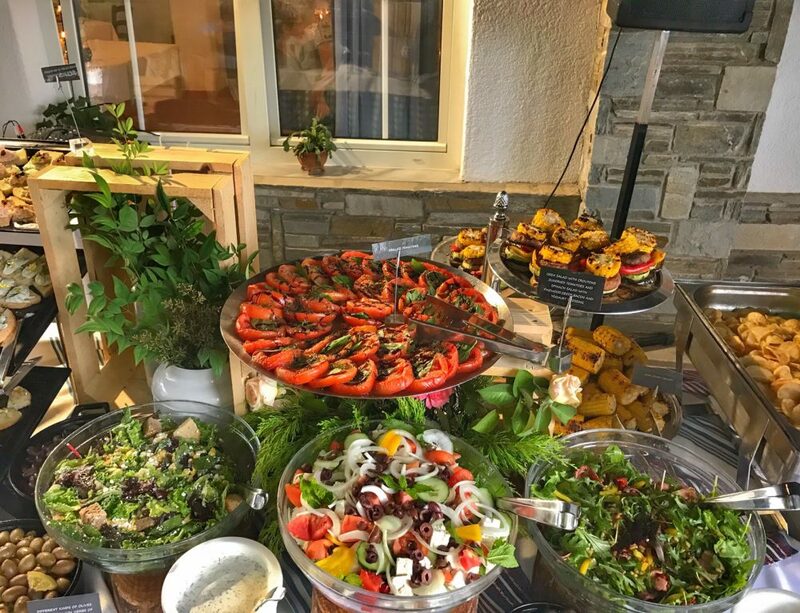 Tonight, visit at the Afytos Village for dinner & drinks. If you are unsure what to order, be sure to read our list of must eat Greek foods! Take a day sailing cruise with www.daysailing.gr. The day cruise will take up half of the day, but the rest of the day you can relax at the beach. When you get back indulge in a massage down on the Spa beach Kiosk at the hotel. What to expect Day Sailing! Pick Up and Return Service from Alexander the Great Beach Hotel is included! They typically start sailing at 10:00 from Nea Fokea to Athitos, depending on the weather conditions. Shortly after setting sail you will make the first stop for swimming. About 45 minutes later, the trip continues to Kriopigi where we will go ashore in a dinghy to have a drink at the amazing beach bar, Agora Beach Bar. Your boat guide will order a fruit salad free of charge, but you may want to bring some money if you want other items. If you like you can swim that this beach. After you leave the beach bar there is one more stop for swimming at Kalithea Beach. It’s during this break that you will be provided lunch. Obviously, kids will get hungry way before this, so take some snacks. After that the boat heads back to Nea Fokea and should arrive at the port by 4:30 pm. I recommend not taking small children day sailing. If you do, take your own life jacket. All of the life jackets aboard are for adults. I recommend this travel life jacket. Also, keep in mind that this is a long day, so it may not be suited for older kids either. After breakfast, head out and start making your way to Ouranoupolis. 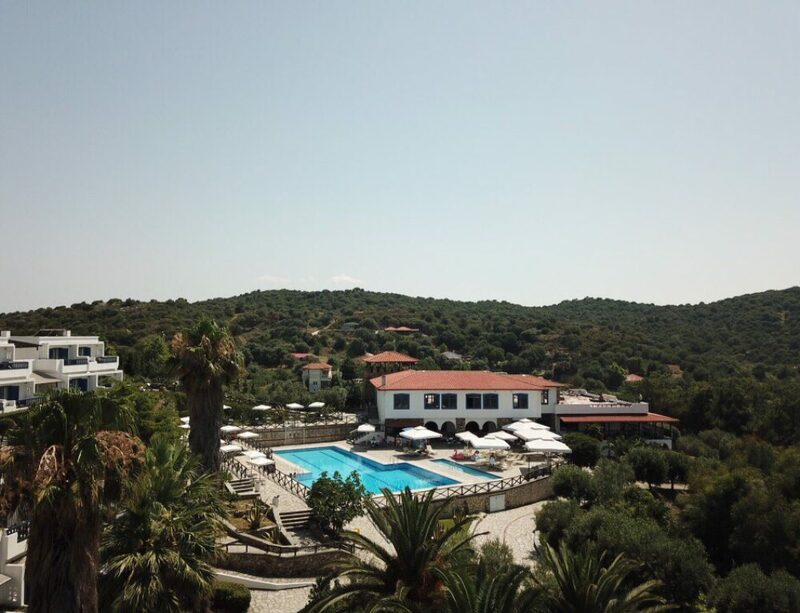 Here you will check into Xenia Ouranoupolis hotel. There are some nice stops along the way, including the stone village of Arnea. This is a good spot for a light lunch and a traditional Greek coffee. Arrive by early evening in Xenia Ouranoupolis. You definitely want to be here before sunset. The sunsets we experience each night were stunning. Boat Rental (you drive by your self – no license required) and discover the DRENIA ISLANDS with your own boat and the beaches of Ammouliani only accessible by boat. Visit the Spa for a massage or facial and head into town for dinner. In Ouranoupolis I recommend eating at Kritikos Restaurant. Check out of your hotel and go on a Mt Athos Cruise to see the monasteries. This tour is a bit boring for younger kids, but history buffs will love it. They will point out monasteries with artifacts like part of the cross that Jesus was crucified on and part of the cloth Jesus was wrapped after the crucifixion. After your tour head to the ferry. You will take the ferry with your car to Ammouliani Island and stay the Agionissi Resort. Here you will experience a true disconnect from the hustle and bustle of everyday life. Enjoy the hotel, spa, its beaches and its serenity. Enjoy the Island where you will find many photo opportunities. The island is home to a small fishermen village with only 500 residents. It won’t take long to explore the area. Depart from Amouliani and head back to Thessaloniki where you will find the closest major airport. Check in the Astoria Hotel in Thessaloniki in downtown and kick off your urban discoveries. Enjoy the day and night time in the city. Thessaloniki is the second largest city in Greece. It’s an extremely affordable city for families to visit. 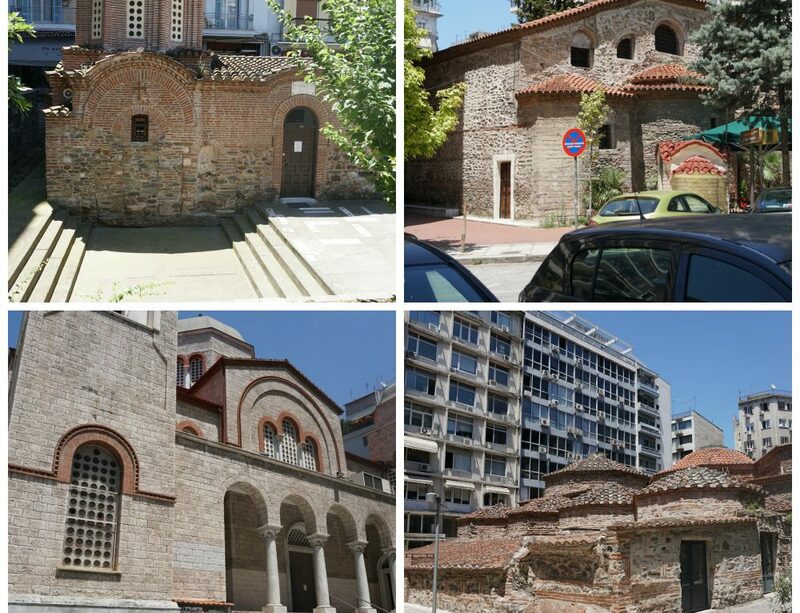 Learn more about visiting Thessaloniki on a budget. Continue exploring, start the morning with a visit to the fish & meat market, White Tower, Trigonion Tower, and many more sites. Many of the historical sites are free or super cheap. Sadly, your adventure has come to an end, but I suppose all vacations eventually have to end. Head to the airport and head home of drop down to one of the Greek Islands like Santorini or Mykonos.